Patna: At least 33.23 per cent of people died in Bihar due to environmental reasons in 2016. It was revealed during a workshop on ‘Air Quality Crisis and its Health Impacts’ organised by Centre for Environment and Energy Development (CEED). 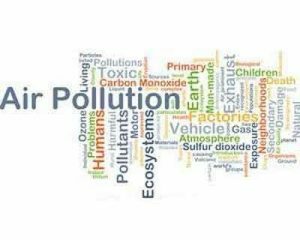 Public Health Foundation of India, New Delhi, Dr Gagandeep Kaur Walia said that 19.05 percent of people died due to air pollution in the state in 2016 while presenting, a latest report by international journal Lancet on pollution and health. Dr Walia said that deaths in Bihar due to ambient PM2.5 exposure in 2016 was 11.72 percent of total deaths. She said even as deaths caused by household air pollution accounted for 11.09 percent of total deaths in Bihar in 2016. She said that households using clean fuel for cooking were 80.6 percent in urban India and 24 per cent in rural India. She said that 11.97 per cent of total deaths in Bihar were caused by water pollution. Dr Walia said that 1.73 per cent of total deaths was due to lead pollution in Bihar in 2016. She said that 2.65 per cent of total deaths in Bihar were caused due to occupational risks in 2016.